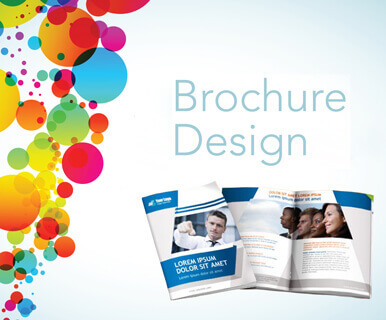 A brochure is a compact medium of marketing. Its basic purpose is not just to inform people about your products and services, but also to underline the fact that you have better solutions up your sleeve when compared to your competitors. It can be called the flag-bearer, as far as affordable and effective marketing is concerned. Our skilled, professional and consultative brochure design experts consider integrity as an important aspect of business. Brochures offer very small amount of data, yet, are perfect for grabbing the attention of the audiences. Thanks to the marketing power of the marketing tool, Brochure Guru, a leading brochure designing company, believes that the designing of such a significant piece of marketing tool has to be left in the expert hands of professional brochure designers. Our skillful designers create an impact on your target audiences, with their attention to detail and focus on the requirements of the clients. We offer the most appropriate designs in various cuts & folds and in the most appropriate themes, to deliver your business message in the most efficient manner. Our brochures are available in both online and offline types, to be sent them via e-mails and normal mails. With the right knowledge of marketing and specific techniques, we ensure the sure-shot conveyance of your message to your target clients at cost-effective rates. Each and every brochure designer at our disposal, sticks to the given time-span and accuracy of work.